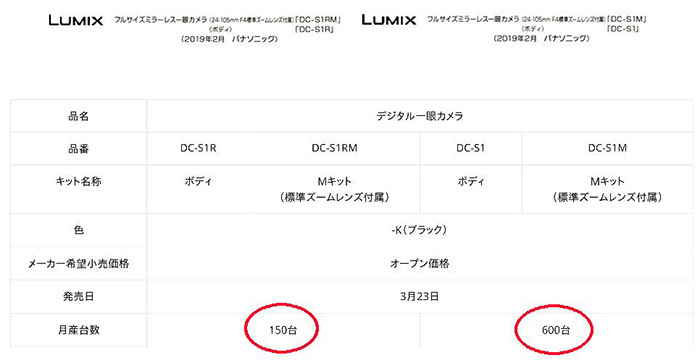 Atomos is delighted to announce that as soon as it ships, the new Panasonic LUMIX S1 full-frame mirrorless camera will immediately be able to record 4k (3840×2160) 10-bit 422 HDR footage to the Atomos Ninja V and Inferno monitor/recorders. Recording over HDMI to one of these Atomos recorders will allow recording direct to Apple ProRes or Avid DNx codecs at up to 4kp30 in the HLG HDR format. HDR metadata passed over HDMI from the Panasonic LUMIX S1 to the Ninja V or Inferno allows the HLG signal to be correctly displayed, giving the users an instant and accurate HDR image they can expose and trust. The metadata triggers auto-setup of the Atomos recorders, and the same data is written into the ProRes or DNx file for instant playout to compatible HDR televisions and monitors, or upload to YouTube. The Panasonic LUMIX S1 is the latest in a growing number of large sensor mirrorless cameras to support 4k 10-bit 422 recording via HDMI. The increased image quality brings greater flexibility in post-production for better HDR or SDR images. Stepping up to 10-bit offers greater accuracy with billions of color combinations. This is massively beneficial when utilising computer processing for finishing. Typically, users will see smoother color gradients, eliminating the commonly seen banding in areas with gradual tone change such as blue skies. Recording to an Atomos recorder perfectly preserves this information in the ultimate way possible, combining Panasonic and Atomos technology. The Panasonic LUMIX S1 has an ergonomic body design that is perfectly partnered with the 5” Atomos Ninja V HDR monitor/recorder. The Ninja V weighs 360g and sits perfectly on top of the camera. When the two are used together they balance well in the hand, forming an easy to operate camera setup that rivals some traditional cinema cameras. Seeing the built-in screen of all mirrorless cameras is difficult in bright conditions. The Ninja V screen has 1000nit of brightness when in SDR mode, allowing it to be used effectively, even when outside. The Ninja Inferno and Shogun Inferno each offer an incredible 1500nit brightness and are well suited to productions where a larger 7” screen is required. External recording via HDMI from mirrorless cameras is perfect for users wanting to get the best possible image quality from cameras like the Panasonic LUMIX S1. 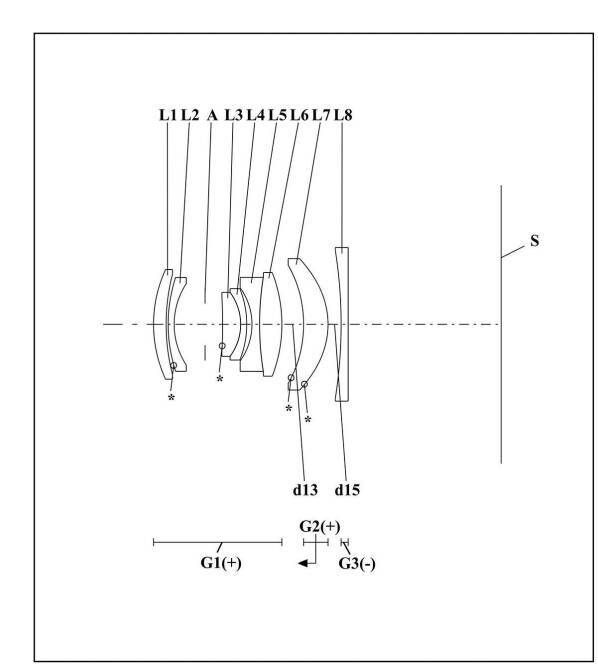 Until this year users needed to invest in a high-end cinema camera costing ten of thousands of dollars to get a larger than Super35 sized sensor that offered 4K 10-bit 422 recording. Now, with the advent of cameras like the LUMIX S1 combined with the Ninja V, users can have access to just that but at amazing price points – in this case less than $2500 US MSRP for the LUMIX S1 body and $695 MSRP for the Ninja V.
In addition, by moving recording to an external Atomos recorder like the Ninja V, mirrorless cameras are freed of many of their key video limitations. Record time limits are lifted and easy-to-edit Apple ProRes or Avid DNx codecs recorded, instead of harder to edit H.264 or H.265. 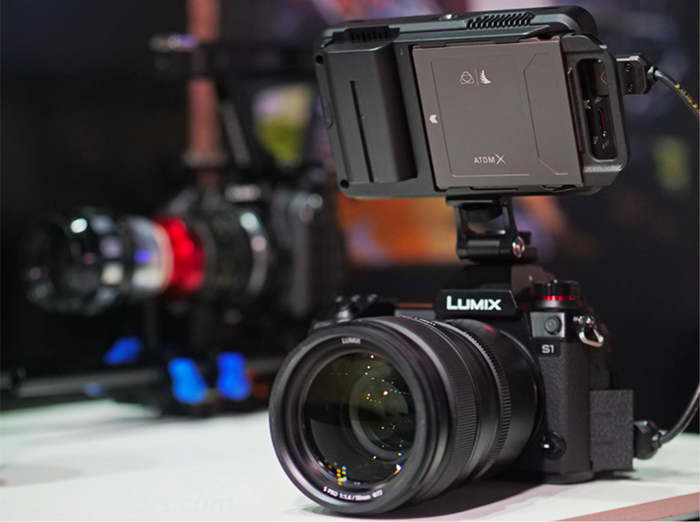 When recording video with the Panasonic LUMIX S1 and Ninja V you can shoot to the new generation of Atomos AtomX SSDmini drives or Atomos Master Caddy II drives. These are developed with leading brands and offer high speed and high reliability in a compact metal chassis at a highly affordable cost per GB. The Atomos Ninja V, Ninja Inferno and Shogun Inferno are available now from all Atomos approved resellers. 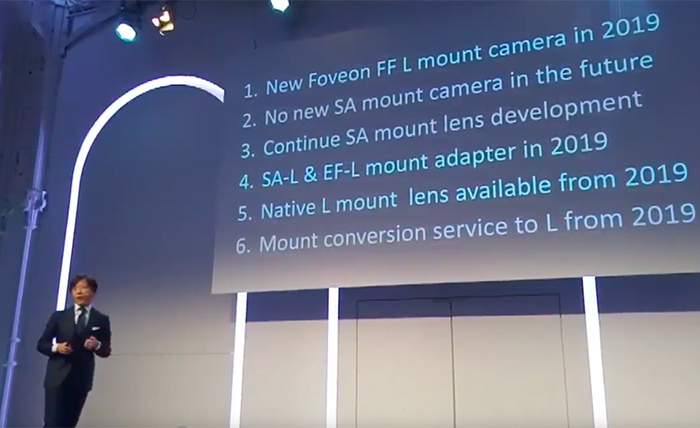 previous post: If you missed it: This is the Panasonic S lens roadmap. Fast zooms coming soon!